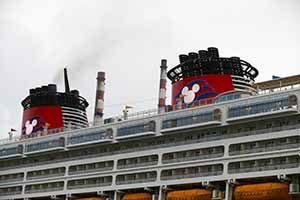 When Disney Cruise Line’s Disney Magic cruised into the Dublin last month carrying 2,700 passengers and 950 cast and crew it was the result of a year of planning. The stop was part of a 12 night repositioning cruise starting in Port Canaveral, Florida and finishing in Dover, England. 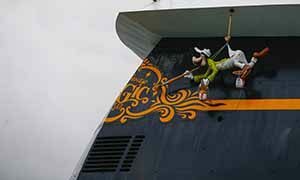 Both the cruise line and the Dublin Port Authority wanted to ensure that the Irish experience was a pleasant one as they welcomed the Disney vessel for the first time. Passengers received a Cruise Dublin Visitor Pass, the new visitor card launched by Cruise Dublin, the Cruise Tourism Development and Marketing agency established to grow Dublin as Ireland’s premier port of choice for cruise. 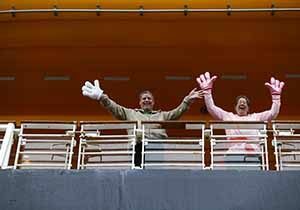 The pass provides special admission to a range of historic, cultural and sporting attractions, as well as incentives to shop and eat out at participating retailers, bars and restaurants in the city. 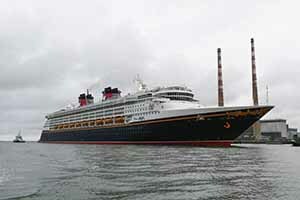 At 300 metres long, Disney Magic is at the upper limit of Dublin Port’s operational limit on ship length, i.e. able to enter Dublin Port and turn within the River Liffey. Work has already commenced on the €230m ABR Project which will expand capacity in Dublin Port and will be largely completed in four years. 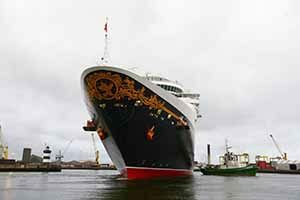 The ABR Project, once complete, will mean that larger ships will be able to routinely call at Dublin Port, turn within the expanded Alexandra Basin West and berth as far upriver as East Link Bridge.